Showing results for tags 'RZ'. Hi, WTB 1 Red Zone ticket. Couldn't get it during pre-sale and general sale. Kindly let me know if any one have extra to sale it Thanks! Hi, WTB 1 Red Zone ticket. Couldn't get it during pre-sale and general sale. Kindly let me know if any one have extra Thanks! Need 1 or 2 Red Zone tickets to DC show at FedEx field June 20th. Red Zone in Toronto - Wanted! 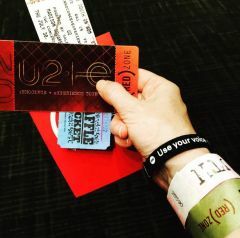 U2ie RED ZONE worth it?